Video games are big business, making over $15 billion in the United States in 2014 according to the Entertainment Software Association. So it’s really no surprise that this success has led to repeated efforts to bring video games to Hollywood — after all, the game already has a setting, a cast of characters, and a storyline. So what’s so hard about translating that to the big screen? Apparently a lot, as even the most successful video game movies haven’t been all that successful in comparison to their video game muses. Still, that hasn’t stopped studios from trying or game fans from enjoying them—even now. We have a host of new video game movies coming out in the next two years. In early 2016 we’ll see Sony’s Ratchet and Rovio Entertainment’s/ Sony Picture Imageworks’ Angry Birds, both with the potential to be tween- or kid-friendly hits. Summer of 2016 will bring the movie Warcraft, which has a star-studded cast and lauded director Duncan Jones to try redefine the video game movie. And looking out even further, Assassin’s Creed, Uncharted, and rebooted Lara Croft and Resident Evil films are headed our way. So how have gaming movies fared so far? Let’s take a look at gaming’s top five film franchises — ranked by how much they’ve made worldwide (adjusted for inflation) — to see how gaming’s favorite series translated onto the big screen. The games performed better in no small part because they didn’t need any story depth to keep you playing — all they needed was to make the combat sufficiently fun (and sufficiently gory, for which the series is known) that you’d keep dropping quarters into the arcade machine. And today's Mortal Kombat X still keeps video game fans satisfied, getting a 4.4 out of 5 starts on Amazon (starting at $38.28). With just a single movie in this franchise, the $366 million gross might not seem so bad… until you consider the film’s budget was $217 million. 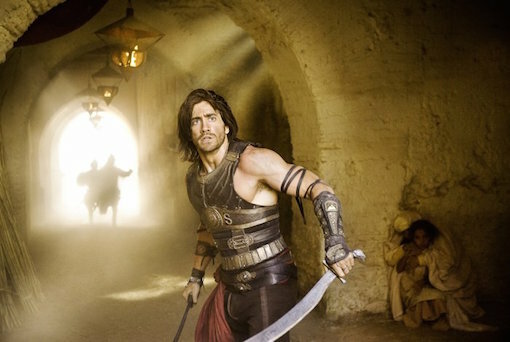 Though it aimed to be a summer action blockbuster, Prince of Persia (starting at $2.99 to rent or $9.99 to buy on Amazon) was something a muddled mess, though it did garner better reviews than any film on this list so far (averaging a 50% score on Metacritic.). The Boston Globe considered it fun summer fluff, but definitely on the fluff side: "Stitched together from so many other movies that it plays like an attack of multiple déjà vu. Stray bits of 'Star Wars,' 'Pirates of the Caribbean,' 'Crouching Tiger, Hidden Dragon,’ and 'Robin Hood’ pass by like flotsam, and the overwhelming tone is good-natured but alarmingly generic." 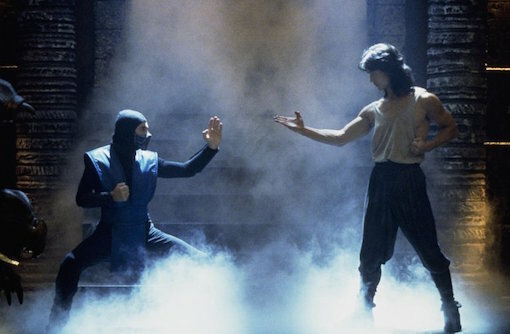 As a game franchise, Prince of Persia has been around since 1989, though this film was based on the more recent 2003 reboot which, like the other games on this list, received starkly better reviews than its cinematic counterpart. Reviewing Prince of Persia: The Sands of Time, PlayStation Magazine said, "One of my favorite games, ever...It's got story, it's got action, it's got amazing graphics and some of the best animation you'll see anywhere.” But the problem, again, is that the gameplay that made Sands of Time fun — the ability to “rewind” time as needed —translated to a faux epic on the big screen. The fun of exploration and puzzle solving in the original Tomb Raider game series (1996-2008) is hard to replicate as a cinematic experience, and it shows in these generic action films. The rebooted Tomb Raider games (2013’s Tomb Raider $19.99 on Amazon, and 2015’s Rise of the Tomb Raider, $39.88 on Amazon) offer more of an in-depth story for the heroine and could make better film fodder… and perhaps that’s just what we’ll see in the anticipated 2017 film franchise reboot. 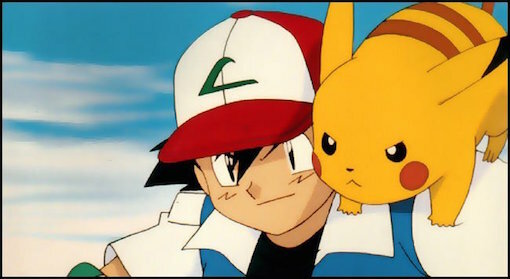 As a game, Pokemon is essentially about collecting pets — thus the familiar “gotta catch ‘em all” tagline — and it’s hard for a film to replicate the way the game drives you to catch as many Pokemon as possible. It doesn’t help, either, that the game is plot-light, most of the games starting off with a weak excuse to send you into the wild to start your own collection of Pokemon — not exactly the stuff inspired films are made of. At least the films are filled with many lessons to be learned. The most successful gaming-related franchise to date, Resident Evil — including Resident Evil (starting at $2.99 to rent or $12.99 to buy), Resident Evil: Apocalypse ($9.99 to buy), Resident Evil: Extinction (starting at $9.99 to buy), Resident Evil: Afterlife (starting at $2.99 to rent or $9.99 to buy), and Resident Evil: Retribution (starting at $2.99 to rent or $9.99 to buy) — has grossed more than a billion dollars worldwide. The most financially successful of the lot has been Afterlife, of which the New York Times commented, "This witless installment features the usual ultra-slow-motion mayhem and helpful freeze-frames to allow us to admire the extra dimension. Fans will not be happy, however, to learn that Ms. Jovovich is more decently clothed this time around." Ouch. Compare that to a review of the most popular game in the franchise, 2005’s Resident Evil 4, of which GameSpot said, "An amazing achievement in a variety of ways: Its inspired, state-of-the-art cinematic presentation works extremely well with its relentlessly exciting, white-knuckle action.” So what’s the problem? The cinematic versions took a tense survival-horror game and turned it into a low attention span action film whose primary appeal is seeing star Milla Jovovich wearing as little as possible. So what will be gaming’s next big success story on the big screen? I’m putting my money on Warcraft, which has a lot of talent behind it — but it will be next summer before we can find out if Warcraft can give video game movies a good reputation. I always like to play adventurous video games. Prince of Persia was my favorite. I used to play it all the day. I even tried Tomb rider game but I could not complete a level in it. So I left it. Really i am very impressed with the article content.. I love movie based games a lot and now i even love them more due to the explanation in it.. Playing games which are like movies are awesome and fun .. So everyone don’t miss the fun .. Have and subscribe this blog for more updates.. Very useful. I love these games and now I am gonna watch all these movies.